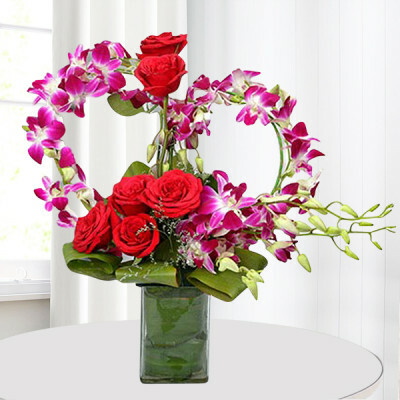 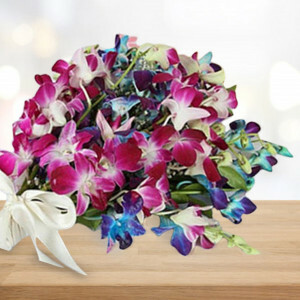 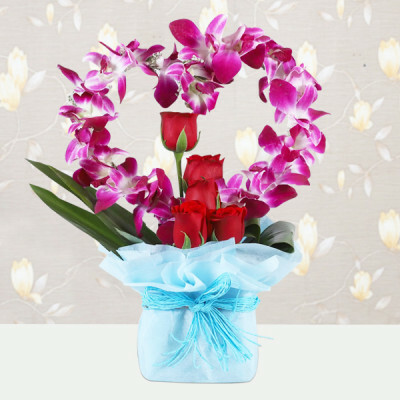 Impress your special someone by sending him or her, a beautiful bouquet of exotic Orchids online, with the best online florists MyFlowerApp. Essentially representing powerful romantic desire, Orchids also signify love, beauty, fertility, refinement, thoughtfulness, and charm. 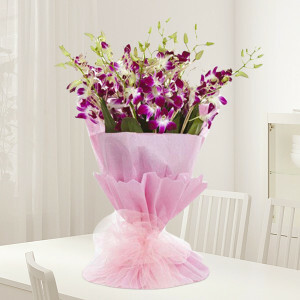 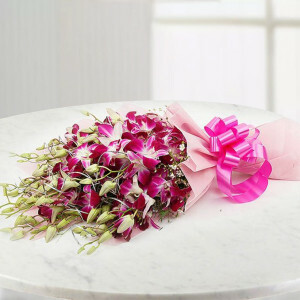 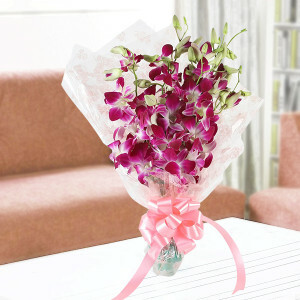 Make it a combo with chocolate, cakes, and gifts or add other flowers to the mix to deliver anywhere in India. 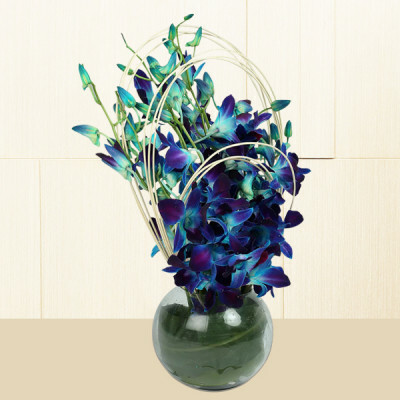 - Tall Arrangement of 50 purple & blue Orchids with lots of fillers & greens. 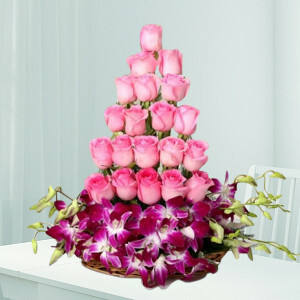 The approximate height of the arrangement would be 2-3 ft.